CAREER HIGHLIGHTS: Promoted to ZF chief executive in mid-2012. He has been a member of the supplier's management board since 2008, starting as the head of the ZF Sachs suspension division. 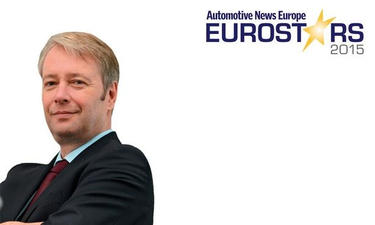 He joined ZF after 11 years in high-level positions at rival supplier Continental. REASON FOR WINNING: Sommer has been the driving force behind the biggest supplier acquisition in the post-Great Recession era. In May, ZF completed its $12.4 billion purchase of TRW Automotive, which immediately made the transmission and chassis specialist a global leader in cameras, radar and controllers -- all of which will be crucial to bringing driverless cars to market. The acquisition makes ZF the world's second-largest supplier after Robert Bosch.